2 story modern condo with 3 bedrooms, 3 bathrooms sleeps 6 located in the heart of Palm Beach! 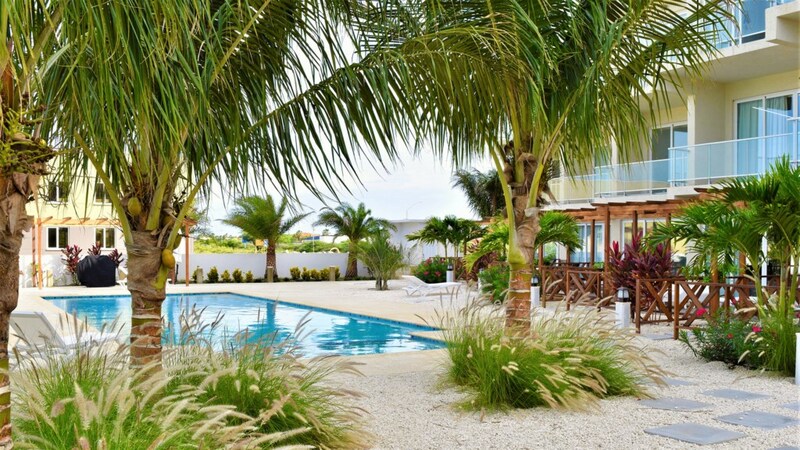 Las Islas #12 is located just steps away from one of Aruba’s finest beaches, the Palm Beach with its shopping, beach bars, restaurants, casinos and numerous island activities. This beautiful, spacious and brand new condo is a great place to relax & feel the comfort & convenience of being at home, whilst located so close to the spectacular beaches of Aruba.The condo features 3 bedrooms with the following: 1 king size bed, 1 queen size bed and one bedroom with 2 single beds. The Master bedroom and the second bedroom are both upstairs and both have their own en suite bathrooms. The third bedroom with the 2 single beds is located downstairs. All bedrooms offers quality bedding plus flat screen TV’s. All bedroom TV's are smart tv's without cable. You can sign into your own Netflix account. 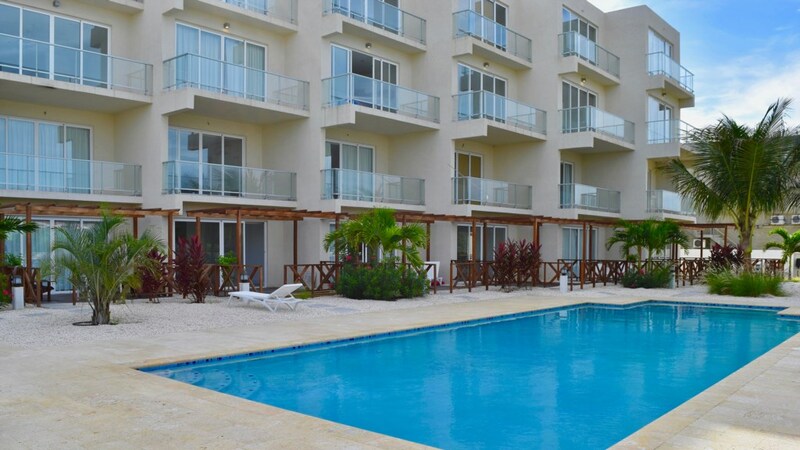 Las Islas Condo offers an open plan with a modern and full equipped and high quality kitchen, a stylish living area with a large flat screen TV, the living room TV offers cable. Its dining area features an attractive table, great to host breakfast, lunches and dinners for 6 persons. There is air conditioning all over, hot water and Free Wi-Fi and also a private balcony accessible through the living room and also through the Master Bedrooms. The property is gated and completely enclosed and has a large communal swimming pool with beautiful landscaped gardens and a communal BBQ area. You can also park your car on the premises. New Modern Condo - Close to Palm beach - Fully Air Conditioned – Fresh linens on Arrival - 3 Bedrooms - 3 Bathrooms – Gated – Free Wi-Fi – BBQ – Condo is located on the second floor accessible by an elevator. The total rate includes 15% tax / service charge, including final cleaning,bookings fee an allowance for water and electricity in the amount of US$ 21,- per night. Over usage of utilities shall be to your discretion and at your expense. Upon arrival a refundable security deposit is required of US$ 400,-. Amazing place, very clean, walking distance to everything, luxury- everything we needed we had it. We will be back for sure!